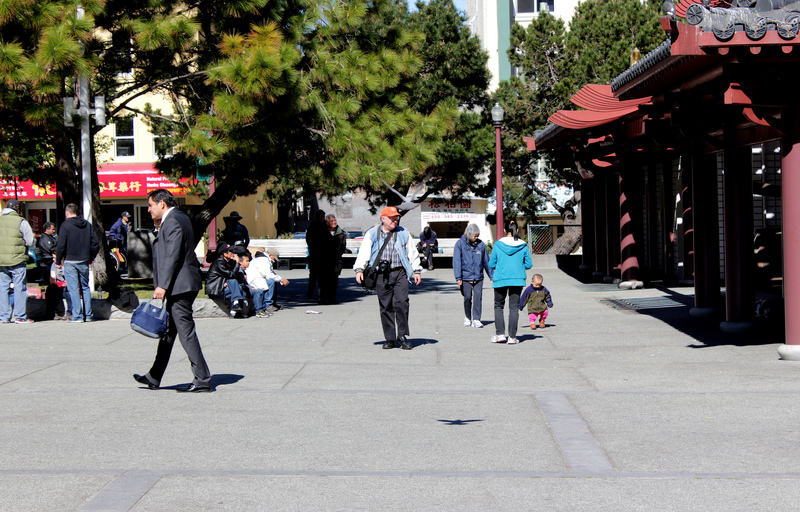 Today, Portsmouth Square is considered to be part of Chinatown proper and is colloquially referred to as the “Heart of Chinatown.” Part of its popularity is due to a contemporary and inclusive design that caters both to the general public while including elements that make it a culturally significant space for local Chinese Americans. Used for practicing traditional martial arts, the square’s open lawns are equally popular amongst picnic-goers and frisbee players throughout the day. 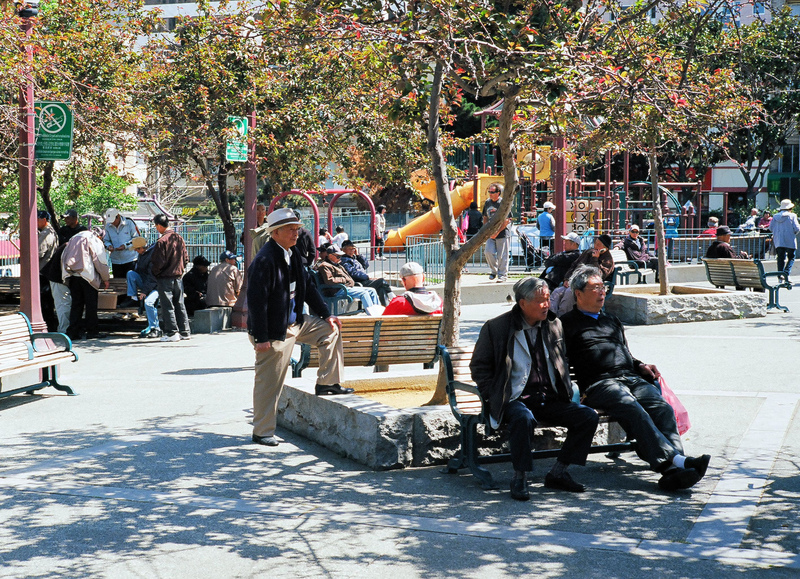 Likewise, the Chinese chess tables found throughout the square are used both by adept players and by the general public who are looking only for a comfortable place to sit and observe the activity in the square. Portsmouth Square’s Tot Lot is also a major draw for families, tourists, and art enthusiasts. The Tot Lot is an art installation and play structure for children that represents six animals from the Chinese zodiac by the sculptors Mary Fuller and Robert McChesney. While completely accessible to residents, local office workers, and visitors, the design of Portsmouth Square’s invites diverse users to engage the community’s culture and creates a central meeting point for local residents. San Francisco was founded on July 9th, 1846 at Portsmouth Square. As the first and only public square in the quickly growing city, Portsmouth Square was the heart of San Francisco’s political and civic life throughout the 19th century. During this same this period, the city experienced a significant wave of Chinese immigration, and many Chinese-American churches began to establish themselves in the nearby areas. 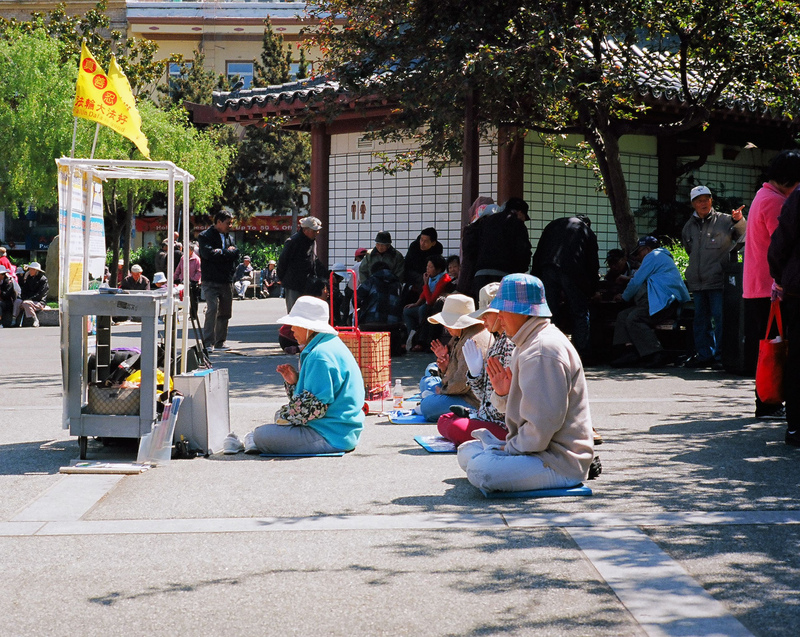 The churches were places for both religious practice and social services for new immigrants, which helped in establishing a strong Chinese community in and around Portsmouth Square. As San Francisco’s urban fabric further developed, government buildings were constructed elsewhere in the city, and Portsmouth Square began to lose some of its political significance. 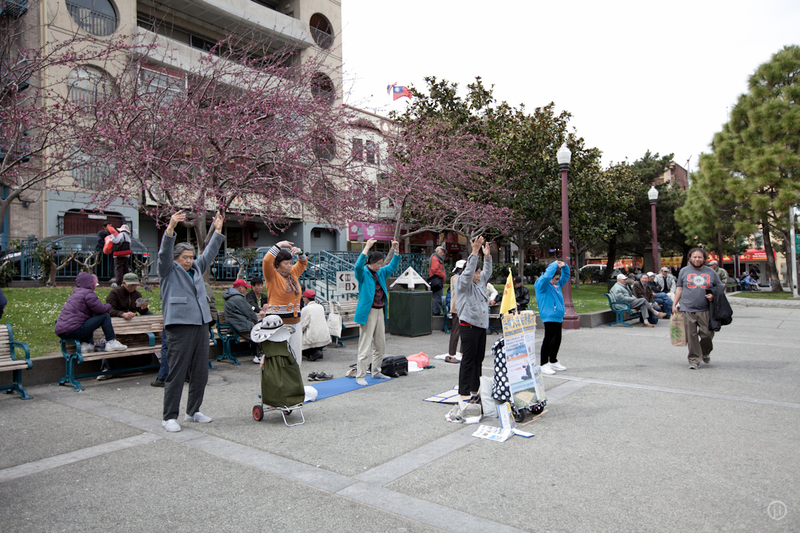 Though it is no longer the center of local politics in the city, Portsmouth Square is still an active hub for area residents, tourists, and the Chinese-American community that is still concentrated in an area that has become one of the country’s best-known Chinatown districts.